Guess who's back in London?! That's right me! I am so happy to be back home but my goodness it feels so incredibly weird. I returned yesterday morning and was just so happy. I am even happy to see the rain! Something is not right there. I had such an amazing time in Turkey and made memories and had experiences that I will never forget. I have changed so much as a person and I'm just super excited to see what the future holds now. I am heading back to Turkey near year and then Greece the year after (hopefully) so this is definitely something I want to do for a little while whilst I have nothing tying me down and nothing to worry about. If you want me to do adventure posts detailing everything I did this summer then please do let me know in the comments below and I will work something out. But I will head on to the next part of this post before I go off on a tangent. One of the things I was really excited about coming back too was my blog. I really did miss blogging whilst I was away and now that I am back home I am going to be putting 110% into it. I have got so many blog posts lined up which involve a bit of Love Me Beauty, Clothing Hauls, Wishlists, Zoella Beauty, Room Interiors and of course I will be throwing beauty reviews into the mix as well. I have also decided that I will be revamping my blog and giving it a brand new design for 2015. 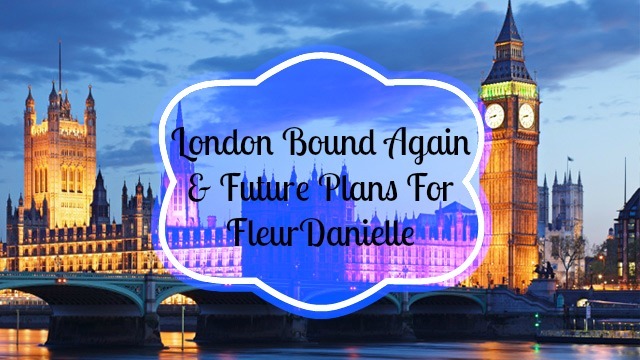 As much as I love blogging I am not happy with the design at the moment so hopefully in the next couple of months FleurDanielle will have a brand new look and feel about it. I want it to be mainly white with a brightly colored heading and links on the site to all of my social media. I won't give too much away for what I want but I am super excited to get the design process going. I will end this post here as I have a number of new posts I need to start drafting up. I am so excited for them! If there is anything you would like to see on this blog then please do let me know in the comments below.